Anyway, been reading up one these quite a bit and I'm not sure which engine this would be. I'm assuming it's 1900 as I'm not sure if we got smaller capacity Mantas in South Africa? How would I know if it's the 90hp or 105hp engine? If it is a 1900 ofcourse. So that is project number one. As a package I got two extra bodies with the car as "donor" vehicles, one of which is pretty much useless bar a couple of fenders and boot lid which are useful and another pretty decent rolling chassis, which I'd like to convert to a race car. I don't have pics of those unfortunately but those would be projects for later. I'm looking forward to learning more about these beautiful cars! Very welcome! You spare project shells may be of use to other members here, as they may not be thst bad, compared to here? Tin worm! Photos of them would interest manta a owners. Regarding bhp, i think the carb is the only difference, easy upgrade. One question! The manta b shares a chassis with a chevrolet chevair, are parts available in SA? repair panels? Photos, cool. Do you have rust in SA? Ha! Ha! In Europe at least the 90bhp was the carbed car, and the 105bhp was the fuel injected GT/E (which we didn't get in the UK). Greetings, and good to hear of a proud Manta owner in SA.. My Manta came from SA with my mother and is still very much my pride and joy - a one family owned 1900 that is still used regularly for touring in Europe. Yours looks to be an early model and, I think, a 1900.. In SA the Manta was sold in 1600 and 1900 form - the 1600 was marketed as the Manta S, originally with Rostyle wheels and no stainless trim over the wheel arches or along the sills, and no supplementary dials in the centre. The 1900 was marketed as the simply as a Manta, or Manta 1900.. This was essentially to Rallye model, with the supplementary dials, wheel arch trim and Rallye front suspension (2 degree negative camber). 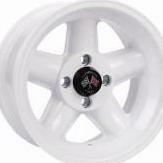 Most had slotted Rallye wheels.. Almost all SA Mantas came with Rallye stripes although a few late ones were essentially to Lux specification without stripes. So, look at your registration document : if its not registered as an S its a 1900.. A close look at the photo of the rear arch of your car suggests the are steel studs on the arch lip.. The trim mounts onto these with plastic clips.. If your car still has its original engine, the engine number should begin with 1.9S - 1600s began with 1.6s.. The chassis/VIN number is probably on the passenger side B post and, if anything like mine, will be a GM South African number rather than an Opel Manta number, so not a reliable source of ID. It appears your car has a varajet carb which, so far as I recall, was never original on Mantas in SA. It should be a Solex but a Weber is a good bet too. Let's hear how you get on with the restoration - and happym Manta motoring! thanks for the reply! I started a build thread right here if you wanna check it out. I have the trims that go on the arches, supplementary gauges (clock, oil pressure and something else which I forget now) that came off the car as well. So then it's a "Rallye" or Manta 1900 spec car as you've mentioned. Thanks for that bit of info! Also, bang on, has a GM South Africa number instead op the Opel Manta number.